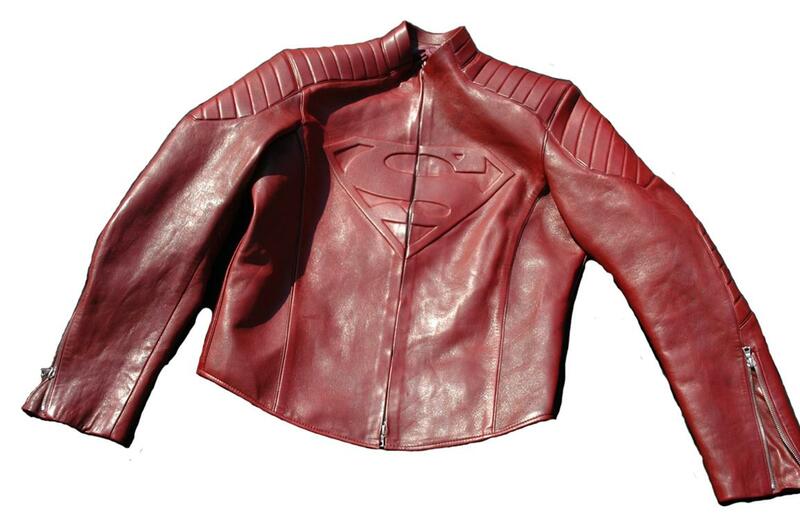 This tiny red leather jacket seems to be paying homage to another sci-fi show, Doctor Who. Clark Kent, The New Martha Jones? 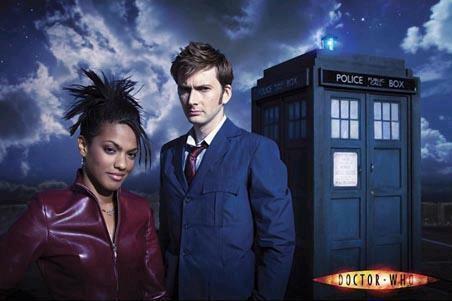 Perhaps I should clarify this, Clark Kent’s new costume looks precisely like Martha Jones outfit. It’s a little strange, the same jacket, same blue shirt underneath, black pants. 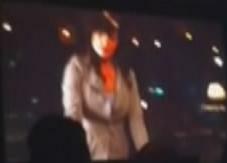 Its like Clark Kent (Tom Welling) went online and ordered the Doctor Who- Martha Jones costume in XXL. Perhaps, Clark Kent (Tom Welling) is secretly a Martha Jones fan, but to this extent is just too much. 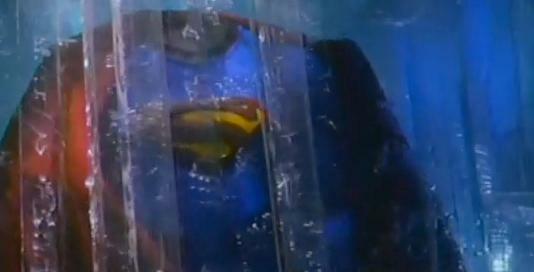 At least they’ve shown the real Superman costume behind ice in the Fortress of Solitude, but couldn’t they at least have him dressed like The Doctor instead of one of his companions? Dressing Superman like a girl (Martha Jones) isn’t cool. With the proper colors, you can’t even tell he’s dressed like Martha Jones. The photoshop color version earlier in my Smallville Season 10 article at least give his costume the proper Superman colors. Which is more true to the character. So he doesn’t look like a crime fighter dressed like Martha Jones. Martha Jones and Doctor Who have their own phone booth, just like Lois and Clark! And look at this, they even have their own phone booth, just like in Smallville. 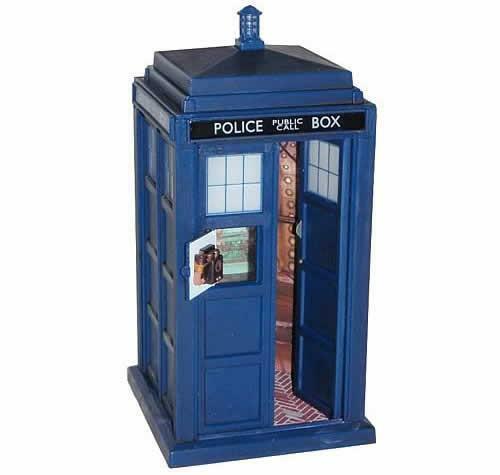 It is labeled “POLICE BOX” and “PUBLIC CALL”. It is their Tardis, an interdimensional or extradimensional vehicle. Is it just me, or is this some unlikely coincidence, or do certain aspects just seem similar for one reason or another. Could it be that Clark Kent (Tom Welling) is part of Doctor Who’s team? Not. 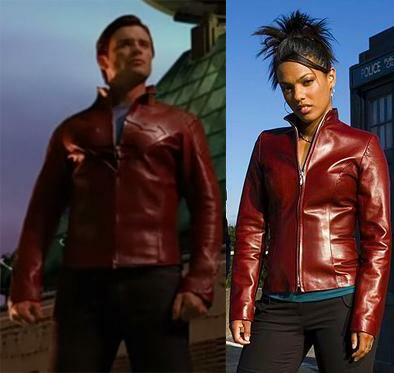 Maybe Clark Kent (Tom Welling) is dressing like Martha Jones, cause he really likes her, similar to how Chloe wore a green leather jacket like Green Arrow last season (Season 9). No, I think not. But it’s still sorta strange. Worse, if Clark’s day dreaming of Martha Jones, while he’s doing Lois, with his Blur costume in view like it could be Martha Jones costume? The only thing worse, is if Clark has some psychological complex, in which he secretly wants to be the new Martha Jones. Who knows? No, thats horrible. I don’t even want to try to figure that issue out any more. But then he and Lois (Erica Durance) have that phone booth (a public call box). I don’t know. The Blur, an obsessed Matrix fan. Then there’s The Blur’s “Matrix” costume from season 9. But that’s another matter. So I think I’ve figured out why Clark can’t fly. 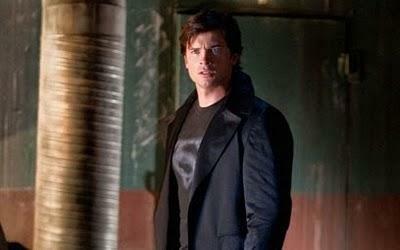 I believe that Clark Kent (Tom Welling) has been watching “The Matrix” movie and Doctor Who’s “Martha Jones” too much. Or has some secret obsession with those characters from that movie and television show. To the point that he dresses like them. This is similar to those Trekkies at a Star Trek convention, that dress like Star Trek characters. That’s the real reason why Clark can’t fly. Too much television and Matrix movies can rot the brain, at least to the point of effecting his choice of costume as The Blur. That’s the real reason why Clark can’t fly. Time to cut those distractions (no Matrix or Doctor Who) and just fly, so Clark can be Superman, instead of some Martha Jones wanna be. 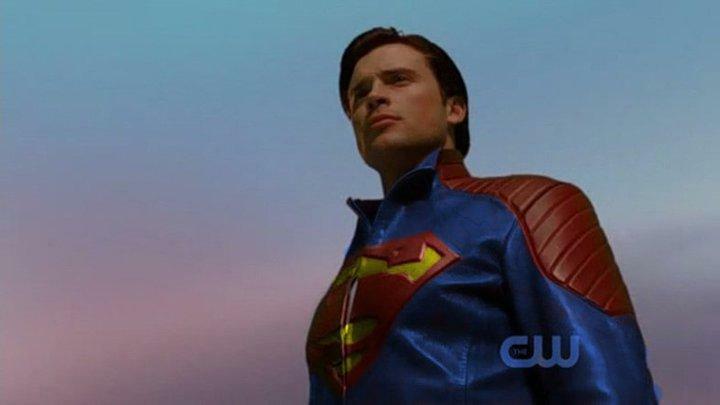 The day is rapidly approaching, in which Clark Kent (Tom Welling) sheds his Martha Jones outfit, and wears the true Superman costume. I can’t wait, that’s got to be better than Clark dressed like The Matrix or Martha Jones. About 3 million people visit the Taj Mahal every year. This blog was viewed about 30,000 times in 2010. If it were the Taj Mahal, it would take about 4 days for that many people to see it. In 2010, there were 11 new posts, growing the total archive of this blog to 18 posts. There were 199 pictures uploaded, taking up a total of 15mb. That’s about 4 pictures per week. The busiest day of the year was July 26th with 617 views. 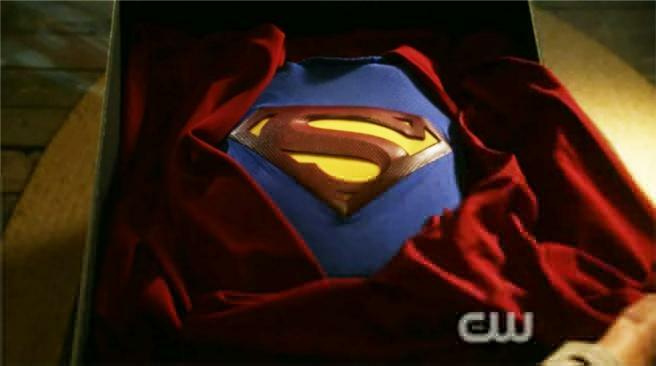 The most popular post that day was Smallville Season 10 – Superman Costume. The top referring sites in 2010 were google.com, smallville.wikia.com, imdb.com, search.aol.com, and en.wordpress.com. Some visitors came searching, mostly for smallville season 10, smallville season 9, darkseid smallville, smallville season 10 costume, and smallville darkseid. You are currently browsing the Griffyclan007's Blog blog archives for January, 2011.